We have got you covered for the whole of it. We have curated a detailed list of Do’s and don’t for D-day. What should you dress for the interview? You are expected to be dressed formally for the occasion. 3.Wear light shades/ pastel shades of shirt. 4.Do not forget to sport a ‘clean look’ on the day of the Interview.Shave properly. 6.Wearing a blazer is not mandatory. If you own one, then you can wear it to give a cleaner look. 1. Can wear salwar-kameez / saree / skirt & shirt. Shirt should be of pastel or light shades. Skirt should at least cover the knees. 2. If you have long hair, neatly plait it or tend to it in a manner that it does not look unkempt. 3.Polished formal bellies(black). sandals meant for formal occasions are fine. How should you enter the room? You will be asked by the assistants present there or one of the panel members to enter the room after a minute or so. Ask for permission to enter the room – “May I come in, Sir / Madam? Enter with a smile. Greet the whole panel. Ask for permission to sit if they don’t do it themselves. When asked to sit, thank them. How should you sit in the interview room? Sit comfortably in the chair.Try not to cross your legs.Keep the thighs parallel to the ground. Your arms may rest on the arm-rest of the chair or on your lap. The folder that contains your certificates and other documents should be kept on your lap, and not on the table. Remember, the table belongs to the panel. Avoid postures that reflect a casual attitude. For instance, avoid rocking the chair or placing one leg horizontally over the other leg or crossing your arms. What should be the body language? 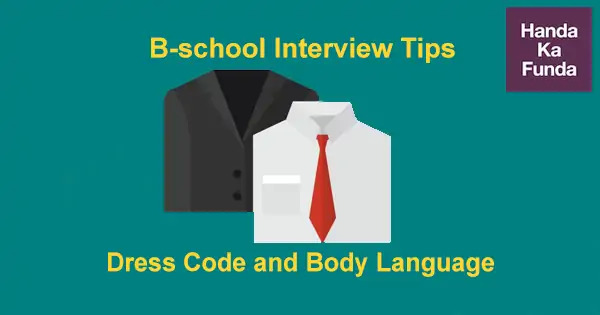 Body language is a form of mental and physical ability of human non-verbal communication, which consists of body posture, gestures, facial expressions,and eye movements.Body language, or nonverbal communication, can let interviewers know more about you than what you tell them.Be your natural self. This will show that you are confident. But at the same time,members of Interview panels are experts who can easily spot the inconsistency between what you are saying and what your body language conveys. Use gesticulations. Lean a little forward to show the panel that you are interested in what they are saying / asking. In doing so, do not lean or rest your arms or elbows on the table. Do not fidget. It shows nervousness. Use formal language and speak only in English. The interviewer might speak in Hindi or casually. BUt you have to remain sincere and formal. Some of us are in the habit of mixing up English with the vernacular. Avoid doing this in the Interview. Do not use slang at all. Use short sentences that convey the meaning of what you wish to say. Avoid using complicated sentences and long drawn-out explanations. The interviewer has a lot of other candidates to interview, and he might lose interest in you because of this. What should be your conduct inside the room? Always listen carefully and attentively to the questions asked. Do not interrupt the interviewer. If you are unable to understand the meaning or hear the question, politely request the panel member to clarify or repeat the question. Always speak in a slow, measured and calm tone in a manner that everyone in the panel is clearly able to hear and understand what you are trying to say. There is no need to ‘spit out the answer’ for the question asked. Take a few moments to collect your thoughts and then answer. If you are unable to think of the answer right away, you can request them few seconds to collect your thoughts. Maintain eye contact with the panel at all times and convey a pleasant disposition to the interviewers, irrespective of the mental state you are in. Even if you are unable to answer a question, You can say you do not know the answer. Do not panic.They want to check how you react in a situation, getting all the right answers might not be the expectation. Remember, there will be a certain amount of nervousness when you go for an Interview. But, you have to take care that such nervousness does not get the better of you. How to leave the room? Thank the panel members at the end of the interview. Your body language and smile should convey that you liked the experience. When you leave the room, make sure to take your certificates and close the door behind you when you go out of the room. GOOD LUCK FOR THE INTERVIEWS !